Welcome all! 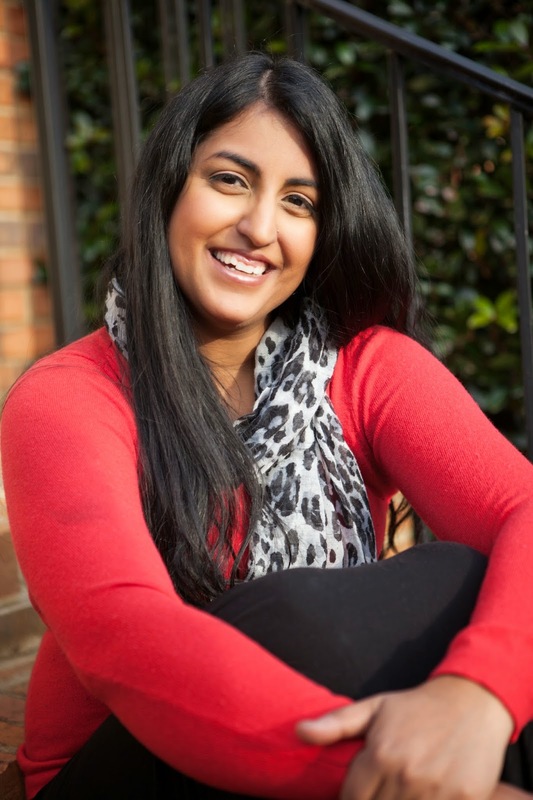 For the latest installment of Diversity Solutions, we have with us today author Aisha Saeed! In the last few weeks, the issue of diversity in YA has been heating up, with articles in the New York Times, CNN.com, and Entertainment Weekly. Here, we focus on how we can achieve the change we need. Aisha is the author of Written in the Stars, a YA novel to be released in 2015 by Penguin/Nancy Paulsen Books. She is also a contributing author in the New York Times featured anthology Love Inshallah. Her writing has appeared in places such as The Orlando Sentinel, BlogHer, Muslim Girl Magazine, and Red Tricycle. She writes a monthly column, Literary Mama, at LoveInshallah.com and is the YA contributor at Story and Chai. Welcome, Aisha! Thanks so much for taking the time to join us to discuss the hurdles we face with diversity in YA today. First, please tell us a little bit about WRITTEN IN THE STARS. What inspired your novel? My YA novel is scheduled to be released in 2015 by Penguin/Nancy Paulsen Books. The book is about a Pakistani American teenager who falls in love with a boy in her community against her parent’s wishes. When they find out, the consequences are greater than she could have possibly imagined. Naila, the main character of the novel, spoke to my imagination for years and her story slowly shaped in my mind’s eye until I finally wrote it. I was inspired to write a story about a Pakistani-American because growing up I longed to see people who looked like me or had the same experiences as my friends or me in print. While this story is not about my own experiences, friends I know have encountered some of the issues my main character faces in the novel and I hope the novel will not only transport readers as all books should do but also speak to people who may be facing similar issues. There is definitely a disparity between the number of diverse books out there and the diversity of the general population. I hope for a day that diversity is better reflected in literature and media in general but why that is not the case today, I don’t know. This great interview by the executive editor of Simon & Schuster, Zareen Jaffery, does provide some further insight to this question. It’s hard to know if I had an easier or more difficult time getting my book published but I hope I was not looked down upon for having a culturally diverse story. My agent, Taylor Martindale, absolutely loved the diversity in the story and actively seeks novels with diverse characters and stories. My publisher Nancy Paulsen Books also has many diverse books on their list by POC authors like Jacqueline Woodson and Padma Venkatraman. I have been very fortunate that the agent and publisher I have are both deeply committed to sharing diverse stories with the world. For them, my diverse story was an asset and not a liability. I share my story to give hope to other writers hoping to see their diverse stories in print. While the news can often be dire when it comes to publishing diverse stories, and while it may seem that no one is interested in acquiring stories with diverse characters it is not always the case. Hopefully with time it will never be the case. Writing about diverse characters has helped my career because writing diverse characters and stories is the motivation and passion behind the stories I write. Whether or not writing diverse stories will ultimately be financially lucrative remains to be seen, but having the pleasure and challenge of writing diverse stories is the reason I write at all. Writing diverse stories is my driving force. I was so disheartened to learn about this back when Justine Larbalestier’s book LIAR was given a cover with a white character instead of representing the main character who was African American. It was my first time learning about this issue and since then I’ve seen many other instances of this. That being said, it appears the issue was getting a lot of attention and I hope the attention and controversy that the cover of LIAR sparked is helping to change things. I am very fortunate because my cover is currently being developed and my publisher is including me in the process and is committed to creating a cover with authenticity. I hope that this is the trend as hopefully more diversity is reflected in literature. 1. Publishers should encourage booksellers not to place diverse books in special sections marked off for diversity-specific areas. For example, a YA memoir on a girl in Palestine should be with all the other YA nonfiction books, not shelved in a separate section on World History. I have unfortunately often seen this to be the case and when these books are not in the higher-trafficked locations it makes randomly coming across a diverse book while browsing difficult, which results in less sales. 2. Just as there are conversations taking place in the media, on twitter, and by the general public on the lack of diversity I hope publishers are also having these conversations in a formal manner. I hope they are recognizing how important it is and are taking steps to not only acquiring more diverse stories but to nurture diverse authors they already have in their houses. Before anything can change with action, conversations, important ones, must take place. 3. Promote books with POC with vigor and enthusiasm. If diverse books truly don’t sell as well as other books, by not promoting and marketing them with full enthusiasm a self-fulfilling prophecy can be created. 1. Write the diverse book you’ve always wanted to read. And make it the absolute best book you can. The competition is fierce to get published and it gets tougher every day, so take your time, sit with it, show it to trusted review partners, and write the best story you can possibly write. We need more diverse stories and while successful books have a variety of factors behind them, a great story always has a leg up at succeeding over any other. 2. Don’t be afraid to write the truth, including the difficult truths in your book. The truth resonates and the truth sells. As POC we can often feel we carry the representation of our entire culture on our shoulders and we feel pressured to only paint a rosy picture of our culture, our religion, etc. Write the truth because the truth is shades of gray and will give dimensions to everything you say. When you’re simply writing the good it’s something readers can see through but when you write the truth it resonates and people read. 3. Support other diverse authors. Buy their books. Give them away as gifts. Request the libraries to carry them. Promote your favorite POC authors on twitter, facebook and other social media. Word of mouth is one of the most effective tools to sell books, use your words and your actions to support the authors writing diverse stories and hopefully with time we will see more and more diversity in the stories we read. Lots of great ideas! Thanks so much for sharing your excellent advice, Aisha! You can connect with Aisha on her website, Facebook, Twitter, Instagram, Pinterest, or Tumblr. Don't miss the other Diversity Solutions interviews with Nathan Bransford, Sherri L. Smith, Stephanie Guerra, Lamar Giles, Jessica Martinez, and Brandy Colbert!